Quicksilver were the quintessential San Francisco band. Whilst the Airplane and the Dead may have hit greater heights, the three years and two albums for which Quicksilver were at their peak saw the band become the archetypal San Francisco kids, a solid state vision of the old Wild West shot through a lysergic lens. This prized collection of KSAN-FM broadcasts from the Winterland Ballroom 1967-1975, proves that Quicksilver's unique chemistry remained intact throughout. It's their understanding of rhythm and blues and rock and roll that is the beating heart of their legacy. 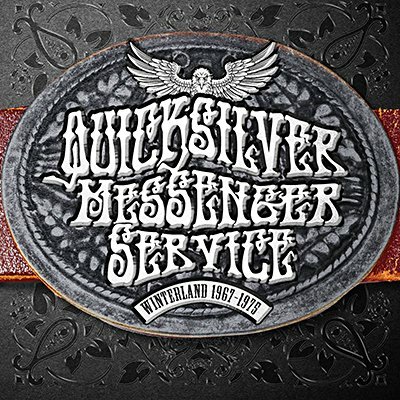 This is Quicksilver Messenger Service as they always were and always will be. Featuring live, uncut performances, fully restorative audio remastering, archival photos, interviews and background liners.